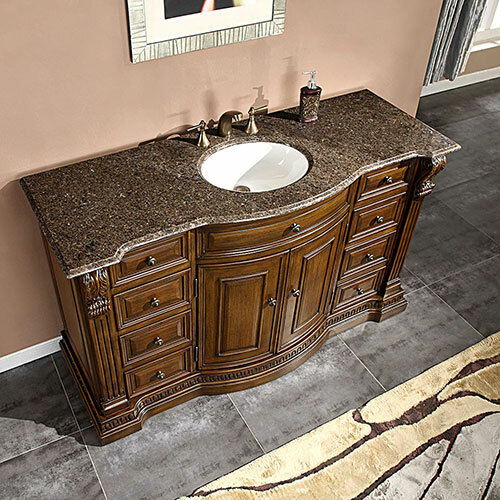 Large and stately, the 60" Lambros Single Bath Vanity will completely transform the look of your bathroom. 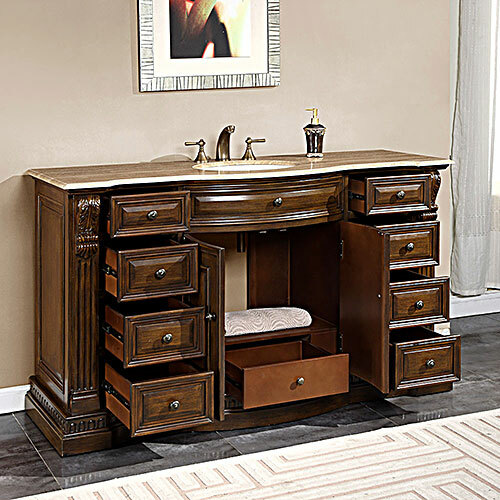 Featuring a dark finished cabinet that offers nine fully-functional drawers and a double-door cabinet, this vanity is made with function in mind. 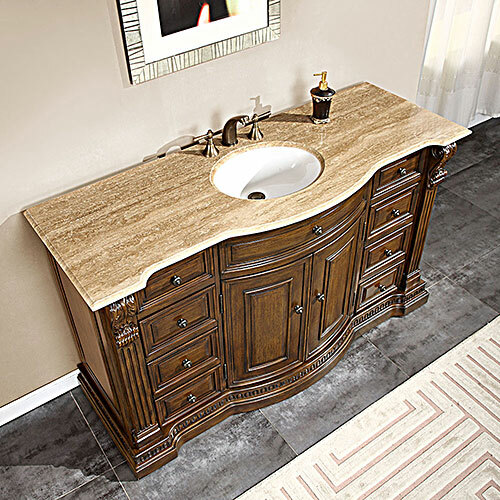 Choose from a Labrador Antique Granite Stone or Roman Vein-Cut Travertine top with an oval white ceramic undermount sink. Faucets are not included.